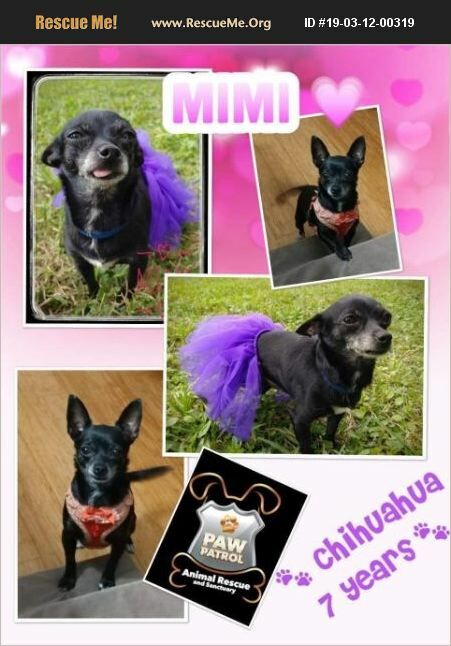 Mimi is a sweet little dog who just wants to be held all day. Preferably a family who works from home or retired. Current weight is 6lbs. Great with other dogs.The first step towards adopting is to fill out the adoption application located on our website www.pawpatrolanimalrescue.com, print and email to pparas2015@gmail.com,After it's submitted, reviewed and approved, a volunteer will contact you to set up a meet & greet.